Friendship Group, 7:30 p.m., St. Rita’s Medical Center, Conference Room F2, 730 W. Market St., Lima. 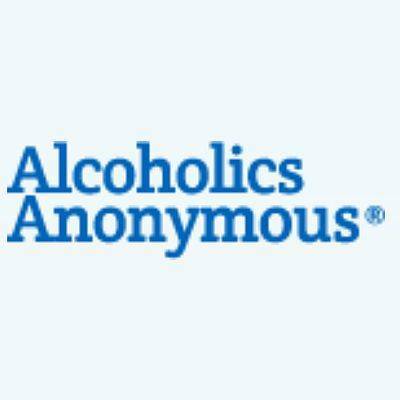 LIMA — Alcoholics Anonymous will hold its Friendship Group open discussion meetings at 7:30 p.m. Wednesday, Saturday and Sunday at St. Rita’s Medical Center, Conference Room F2, 730 W. Market St., Lima. This entry was tagged 010318, 010618, 010718, 011018, 011318, 011418, 011718, 012018, 012118, 012418, 012718, 012818, 013118020718, 020318, 020418, 021018, 021118, 021418, 021718, 022118, 022418, 022518, 022818, 030318, 030418, 030718, 031018, 031118, 031418, 031718, 031818, 032118, 032418, 032518, 032818, 033118, 040118, 040418, 040718, 040818, 041118, 041418, 041518, 041818, 042118, 042218, 042518, 042818, 042918, 050218, 050518, 050618, 050918, 051218, 051318, 051618, 051918, 052018, 052318, 052618, 052718, 053018, 060218, 060318, 060618, 060918, 061018, 061318, 061618, 061718, 062018, 062318, 062418, 062718, 063018, 070118, 070418, 070718, 070818, 071118, 071418, 071518, 071818, 072118, 072218, 072518, 072818, 072918, 080118, 080418, 080518, 080818, 081118, 081218, 081518, 081818, 081918, 082218, 082518, 082618, 082918, 090118, 090218, 090518, 090818, 090918, 091218, 091518, 091618, 091918, 092218, 092318, 092618, 092918, 093018, 100318, 100618, 100718, 101018, 101318, 101418, 101718, 102018, 102118, 102418, 102718, 102818, 103118, 110318, 110418, 110718, 111018, 111118, 111418, 111718, 111818, 112118, 112418, 112518, 112818, 120118, 120218, 120518, 120818, 120918, 121218, 121518, 121617, 121618, 121717, 121918, 122218, 122317, 122318, 122417, 122618, 122717, 122918, 123017, 123018 122017, 123117, 201818. Bookmark the permalink.